We have almost all our stock available to vie online. Prices are displayed in Pound Sterling and in Euro. You can see live Availability on each product. You can search by Keywords i.e. : Music, Fitness, Headphones or by colours i.e. : Jet Black, Blue, White. 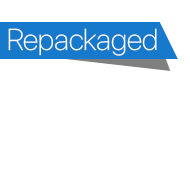 If a product is listed as Repackaged, it can be an item that has been returned within 2 weeks by a customer or someone opened the box for any reason. An unsealed box equals a Repackaged product. A newer Model has been released. Products that have been on display in our store. 2nd Hand Products advertised for clients. If you have an Apple product for sale, let us know and we can advertise it on our page. Once the product is reserved, a confirmation email will be sent to the address provided. Reconnect your devices to your USB-C equipped computer with the OWC USB-C Dock. The full-featured connectivity companion you've been waiting for. Add ten ports with just one USB-C cable. Reconnect to your workflow, to your business, to your desktop and to your life. Featuring 10 ports, USB-C Dock brings the connectivity you need back into your day-to-day. Complete with five USB 3.1 Gen 1 ports - including two high-power charging ports and one USB-C port - you can reconnect and charge your current and future devices. The USB-C Dock also features Gigabit Ethernet, HDMI and combo audio ports along with an SD card reader for even more connectivity. Prices are indicative and subject to change without prior notice. Quantities on next arrival do not necessarily reflect availability on date as some units might be reserved. Contact us on sales@newton.gi to make a reservation or have any questions. Free transfer of data from your PC and one hour free tuition if you switch from PC to Mac (within 90 days of purchase). 5% discount on computers can be claimed by any University Student over 18, Teacher, School, and College (T&C apply). For part returns please check out Product Returns. Best viewed on Safari. Optimised for iOS devices.